When will be Hoy next episode air date? Is Hoy renewed or cancelled? Where to countdown Hoy air dates? Is Hoy worth watching? 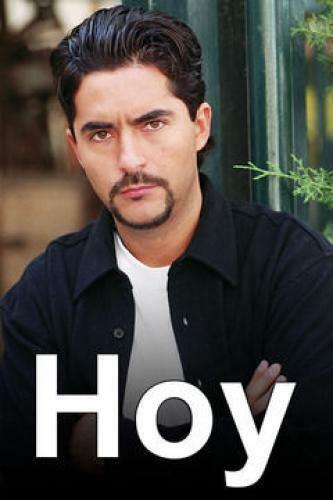 Hoy (Today) is a Mexican television daily morning program genre varieties produced by the company Televisa SA de CV. Since its first transmission in 1998, the program has several stages, sections and wires, taking as central to entertainment, horoscopes, episode recaps and previews for currently airing telenovelas, beauty, cooking, health/nutrition, and games/sketches, humor and music. The is a show produced by Televisa live and broadcast on Las Estrellas weekdays at 9am. The title of the program is the central part of this and includes informative segments on everything related to the enrichment of everyday people, this series also provides useful and practical to perform daily activities advice, facilitating common tasks and currents and improving the quality of life. Its light notes include segments on cooking, sexuality, beauty and updates, it includes special guests from the world of entertainment, news reports about show business and updated the audience on the most important news of the moment, the news magazine others disclosed summaries of most popular novels and the horoscope for each zodiac sign. The notes are presented with a touch of sparkle, humor and much spicy. Hoy next episode air date provides TVMaze for you. EpisoDate.com is your TV show guide to Countdown Hoy Episode Air Dates and to stay in touch with Hoy next episode Air Date and your others favorite TV Shows. Add the shows you like to a "Watchlist" and let the site take it from there.